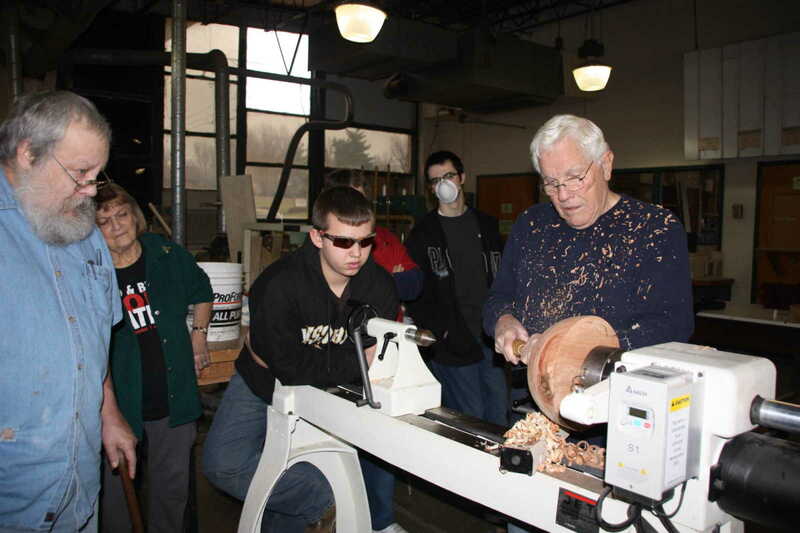 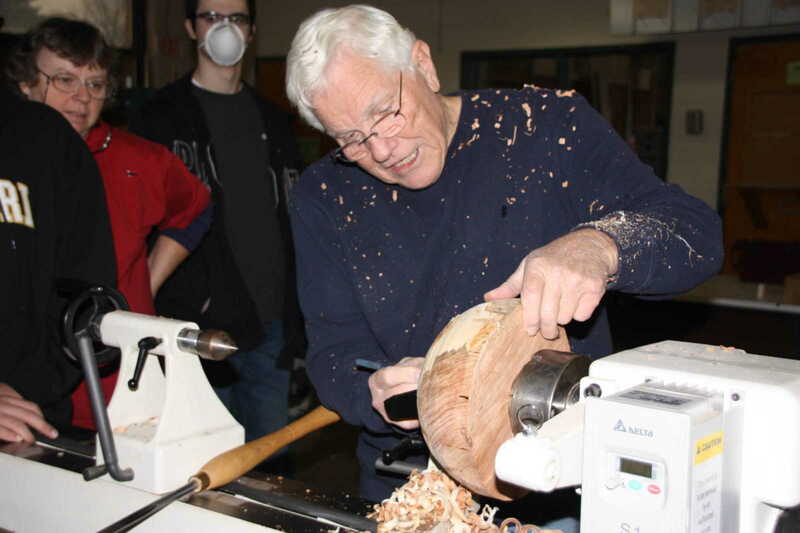 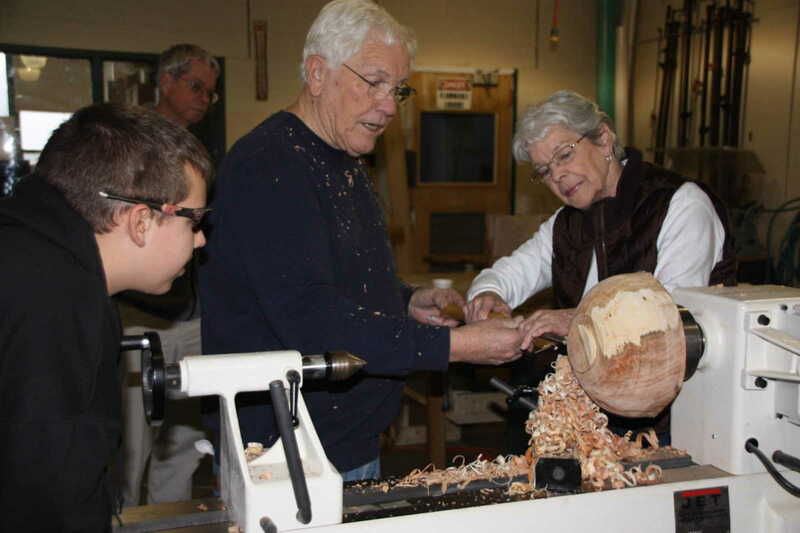 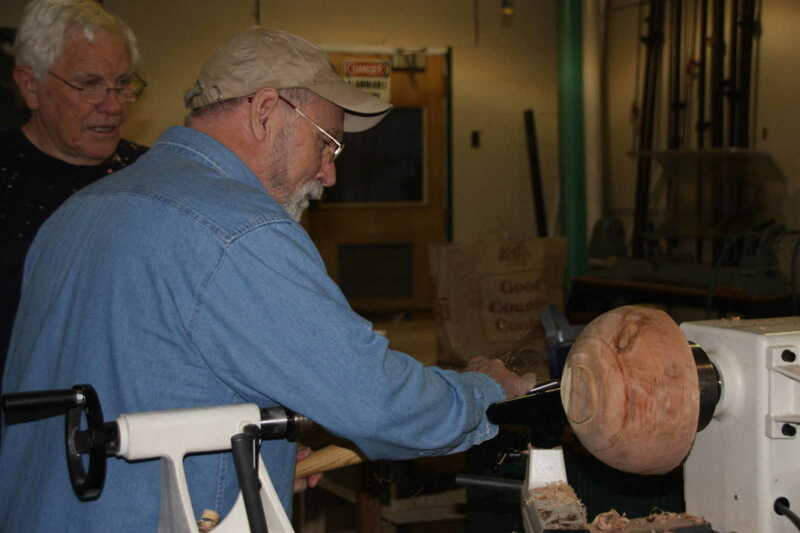 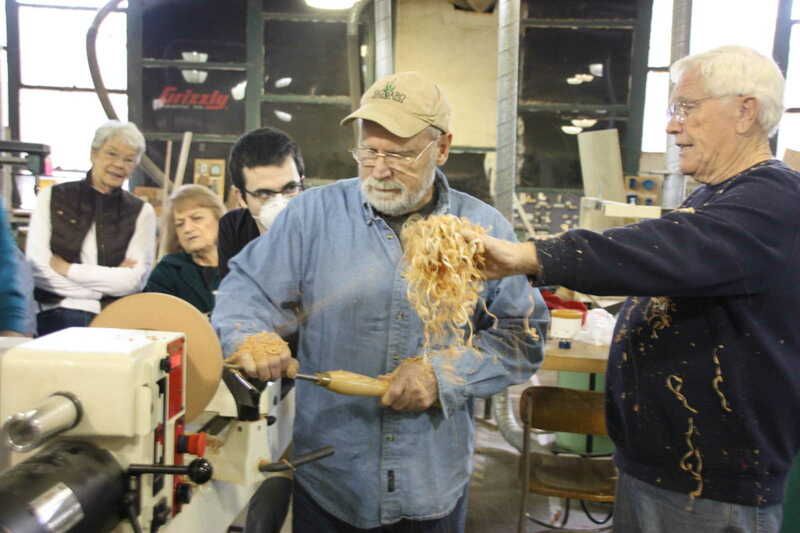 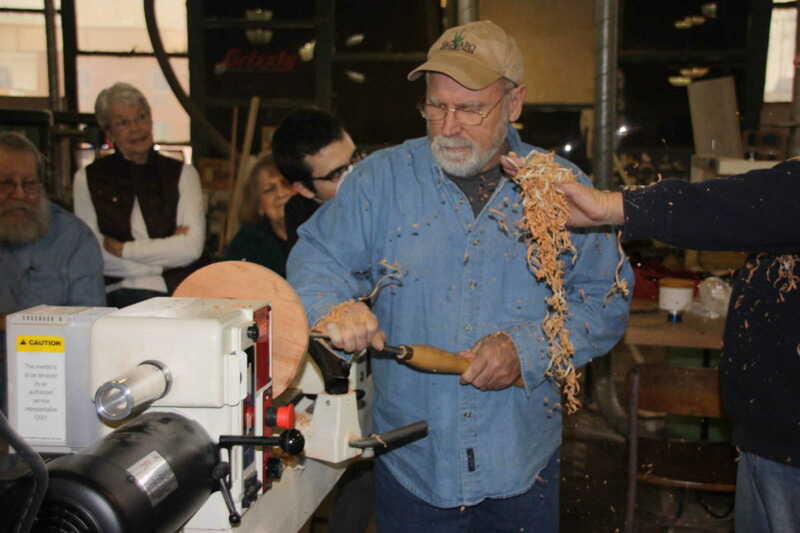 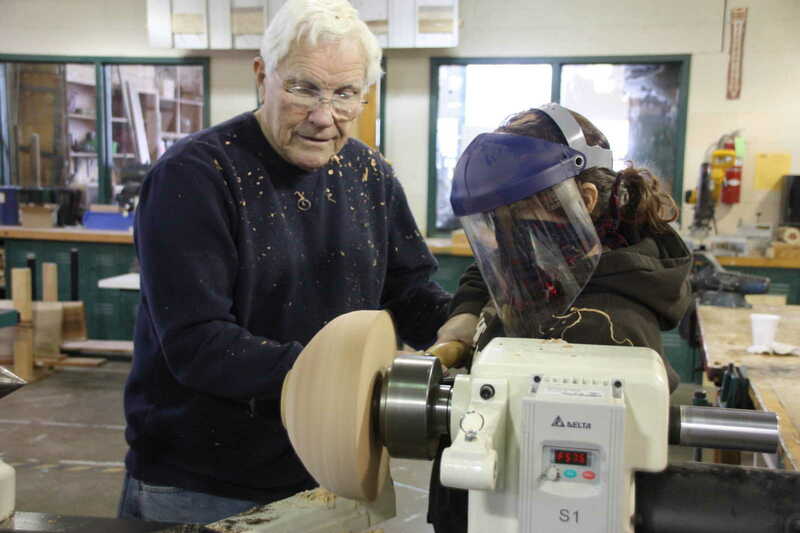 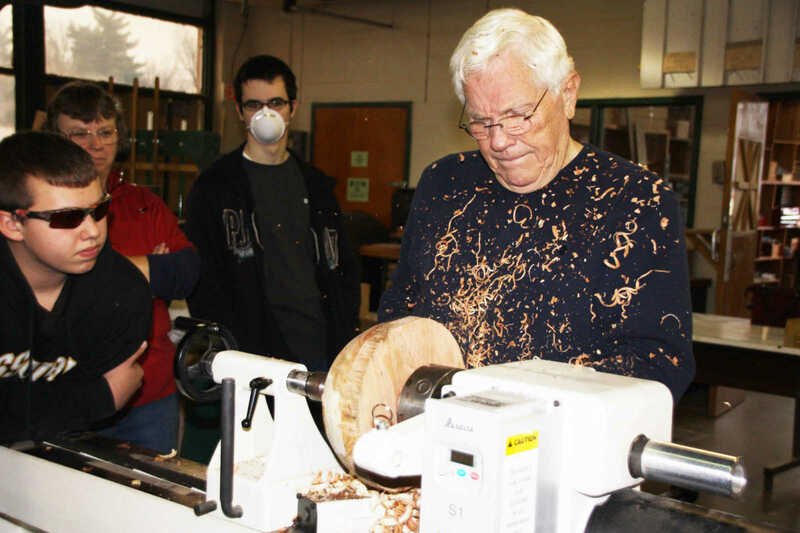 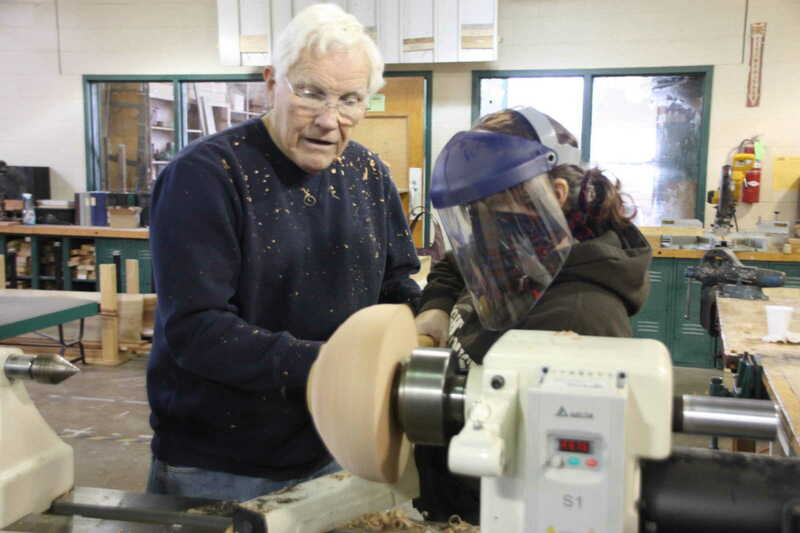 A recently established woodworking club, Crowley Ridge Area Turners, will be meeting on the third Saturday of every month in the Industrial Arts shop at Dexter High School. 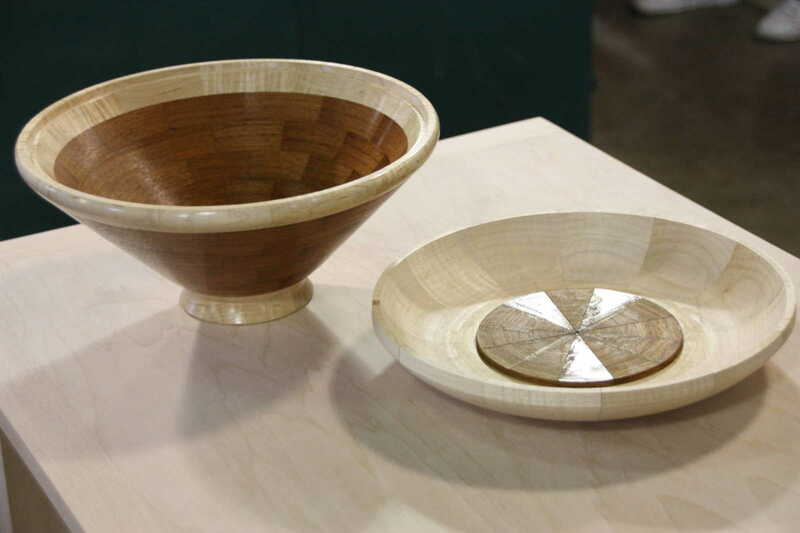 Anyone interested in learning more on the subject of woodworking -- turning, cabinet making, decorative art, etc. 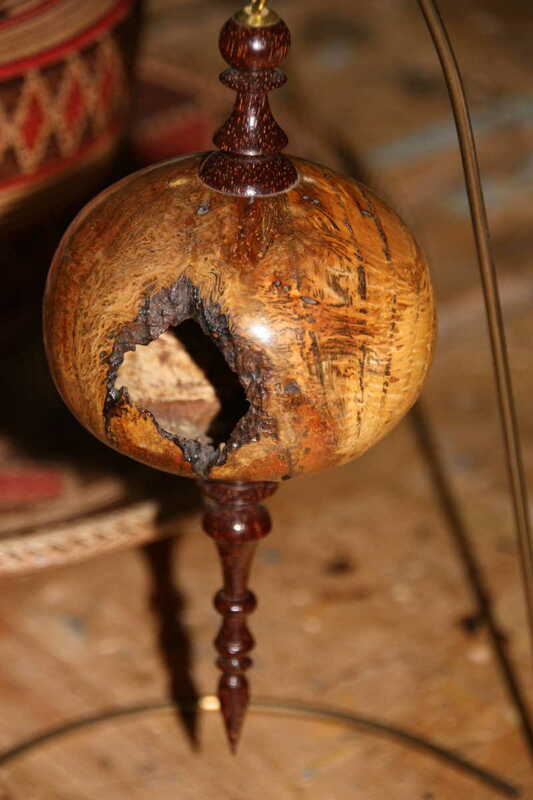 -- and for those accomplished in the field, the invitation is open for all. 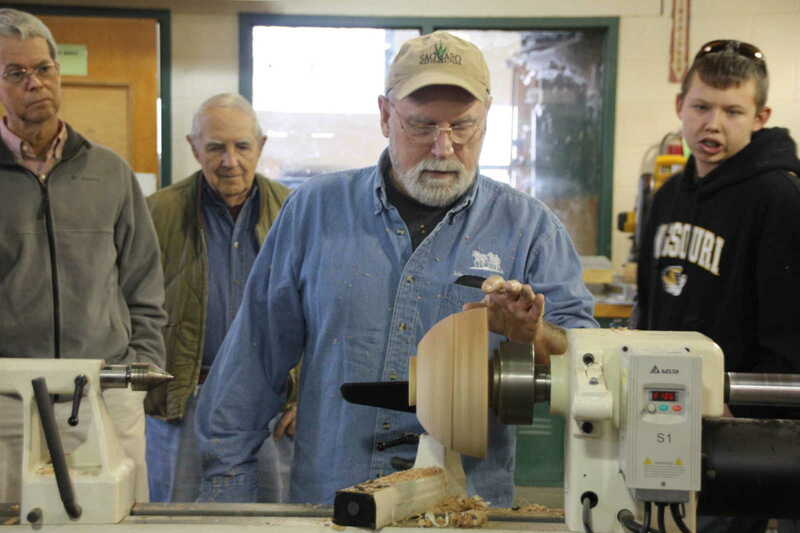 The group begins at 9 a.m. and meets until about noon. 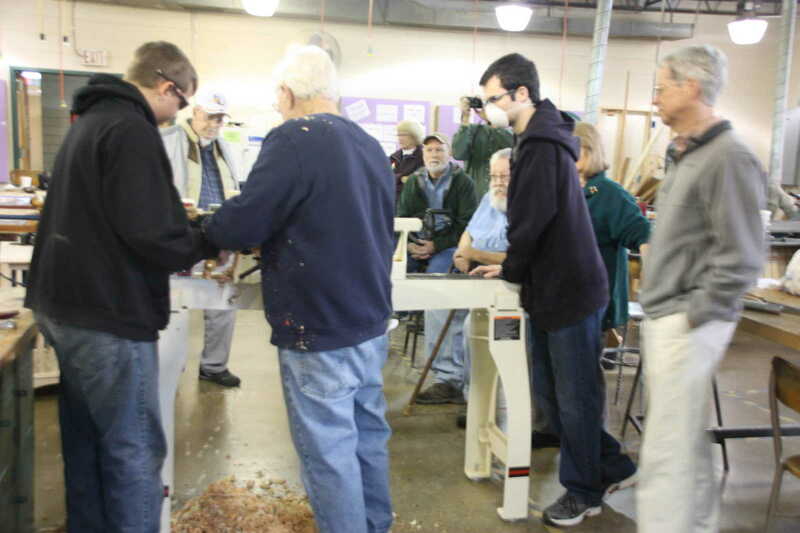 Call Jim Adkins at 624-9933 for additional information. 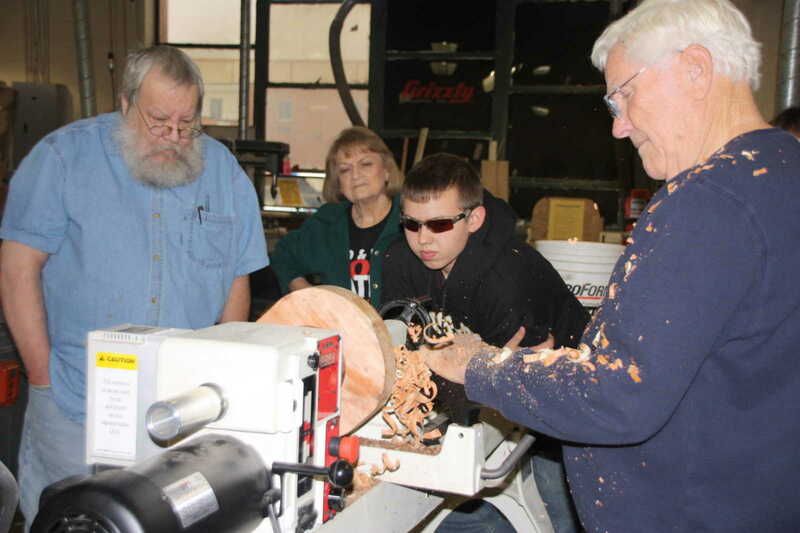 (See full story on the club in the 12/30/14 edition of The Daily Statesman). 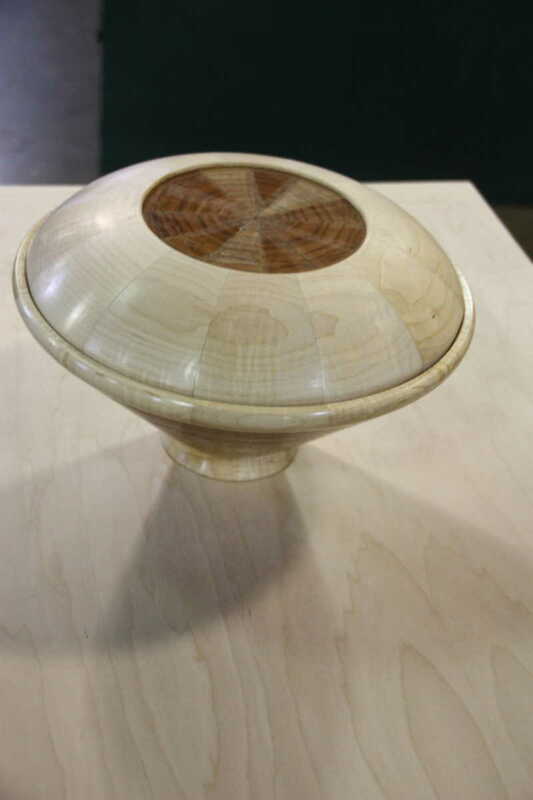 This bowl and lid were on display at the recent meeting of the Crowley Ridge Area Turners in December. 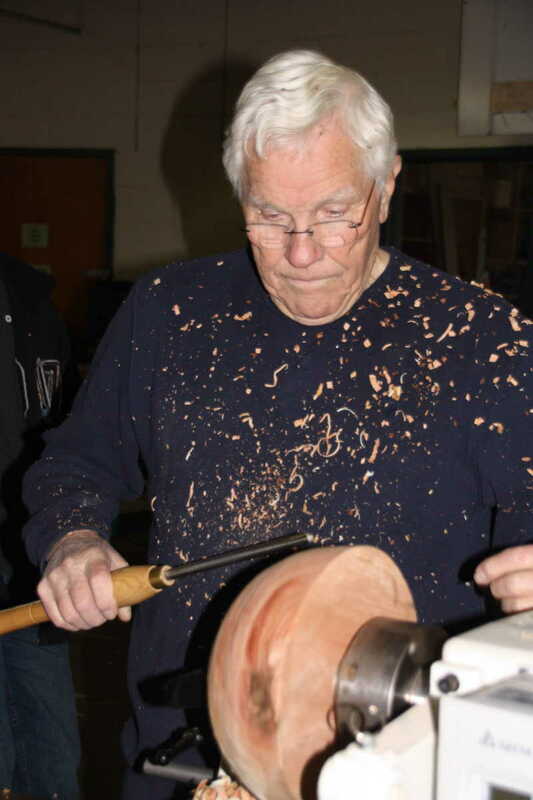 They were crafted by Bob Keathley of Bernie. 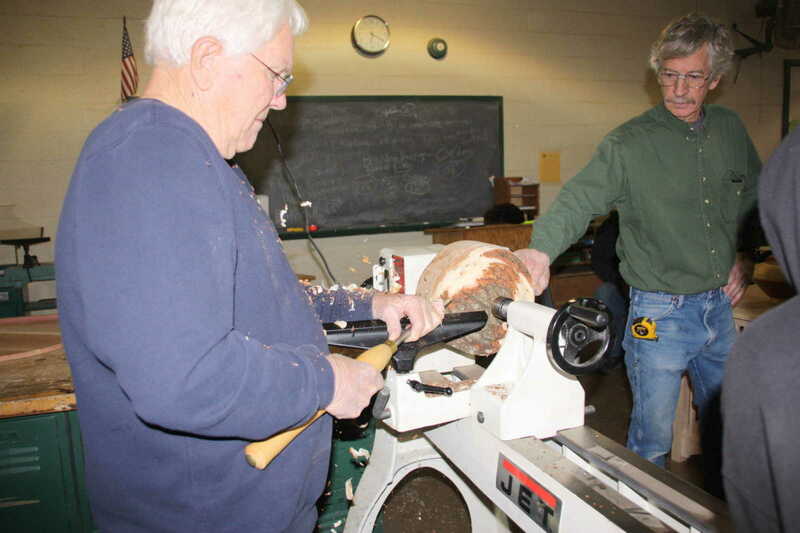 Jim Adkins at work on the lathe with Bruce Plummer at right. 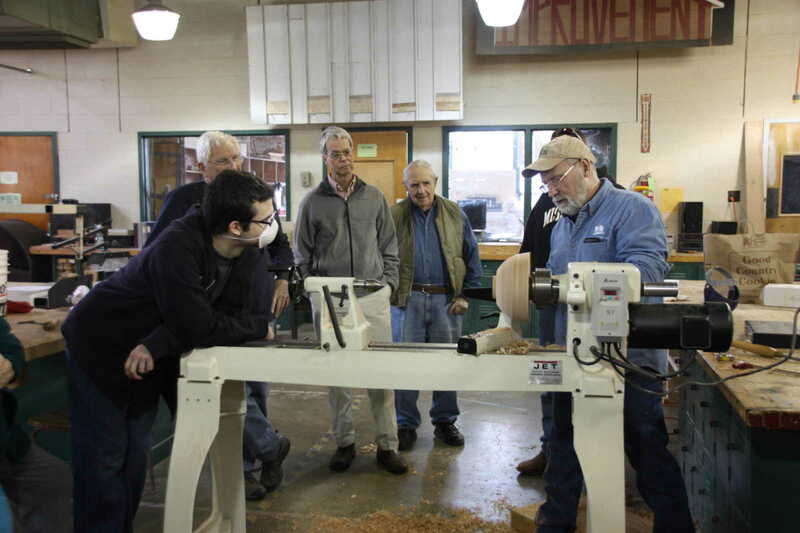 Jim Adkins demonstrates the new lathe, donated by six area woodworkers for use in the DHS shop. 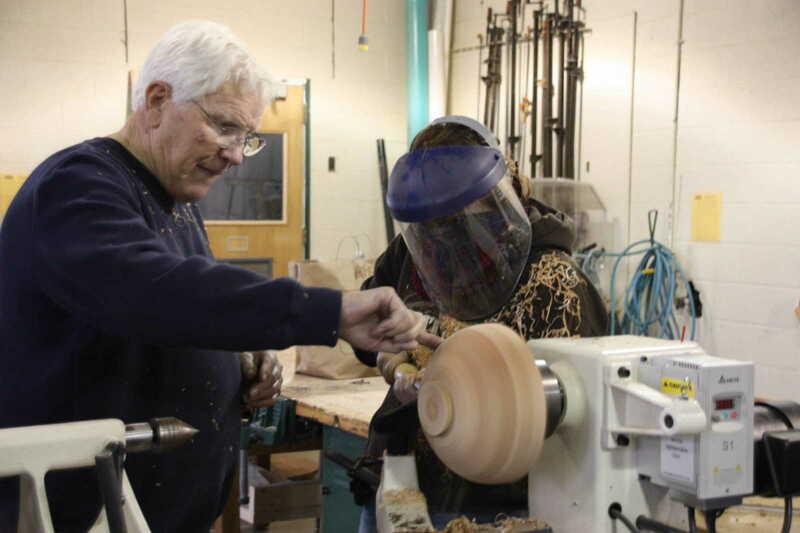 This Christmas ornament was handcrafted by Dexter artist and woodworker, Bruce Plummer. 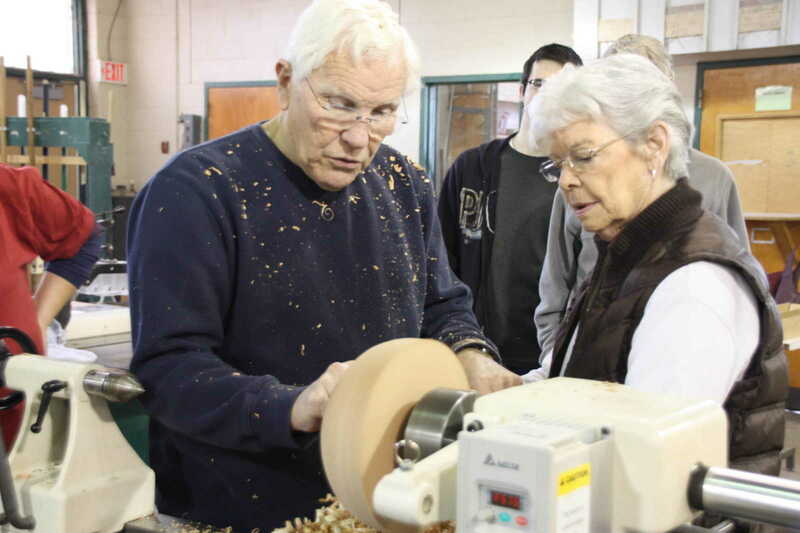 Dee Boesen learns some tips from Jim Adkins. 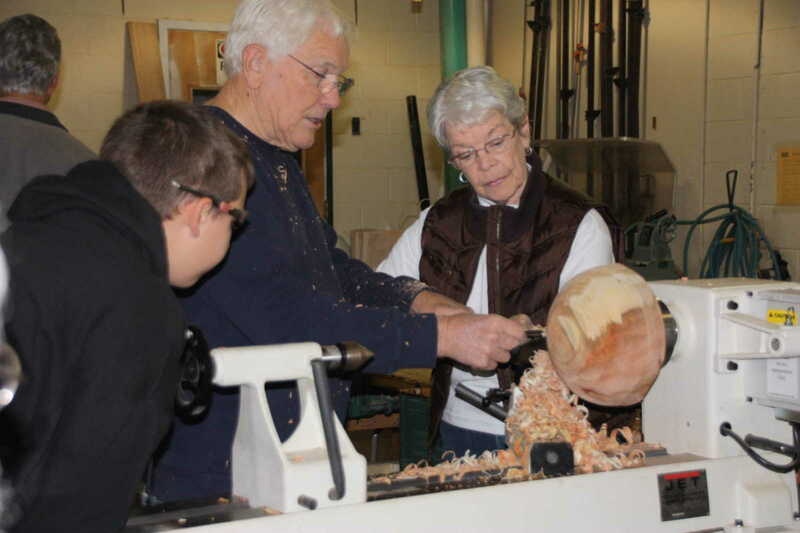 Under the safety shield is DHS instructor, Marti Pulliam, who was instrumental in getting the woodworking club organized. 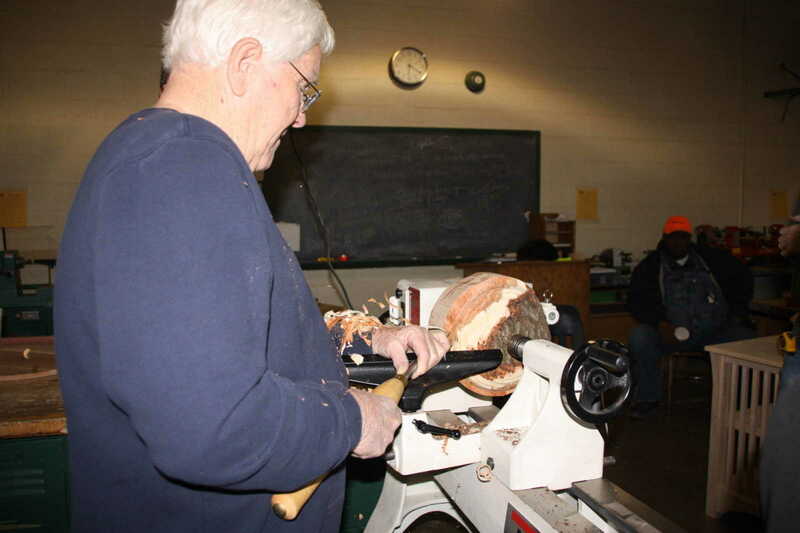 Jim Bliss is from Kennett and made the trip to Dexter on Dec. 20 for the third meeting of the Crowley Ridge Area Turners. 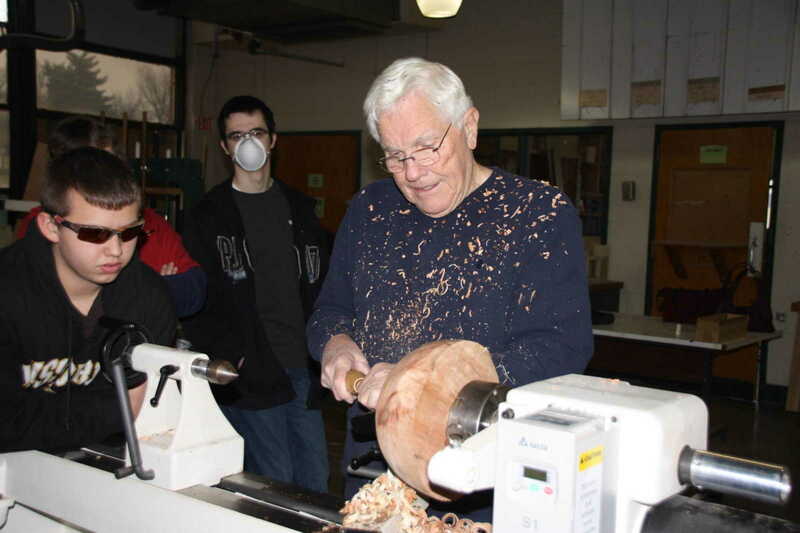 Bliss is one of six accomplished individuals in the field of woodworking and turning who contributed the Jet lathe, shown above, for use at DHS. 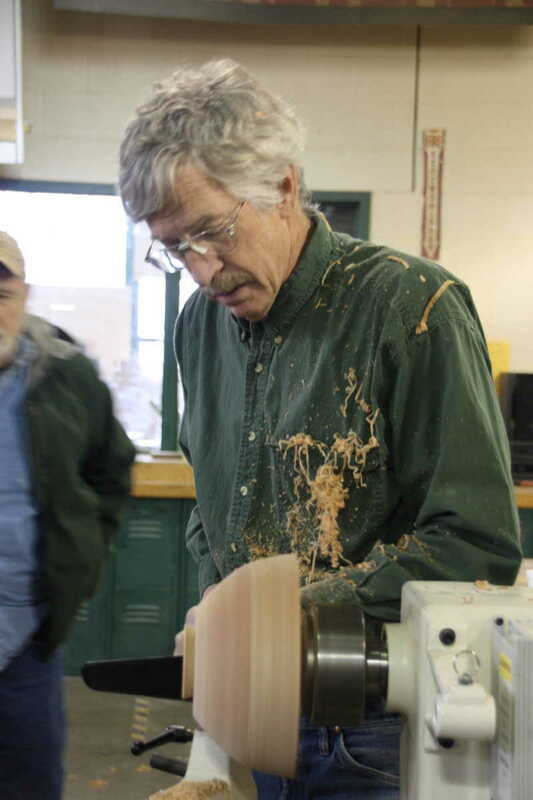 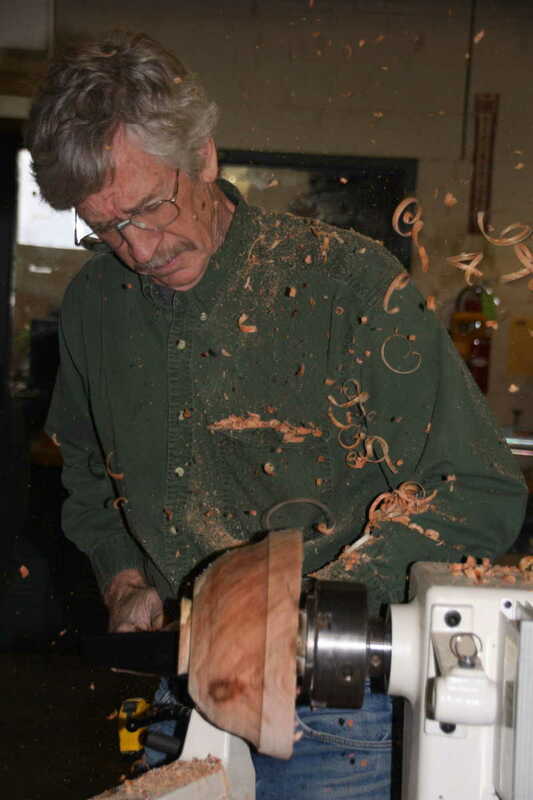 Dexter woodworker Bruce Plummer is shown at work on the newly purchased Jet Lathe. 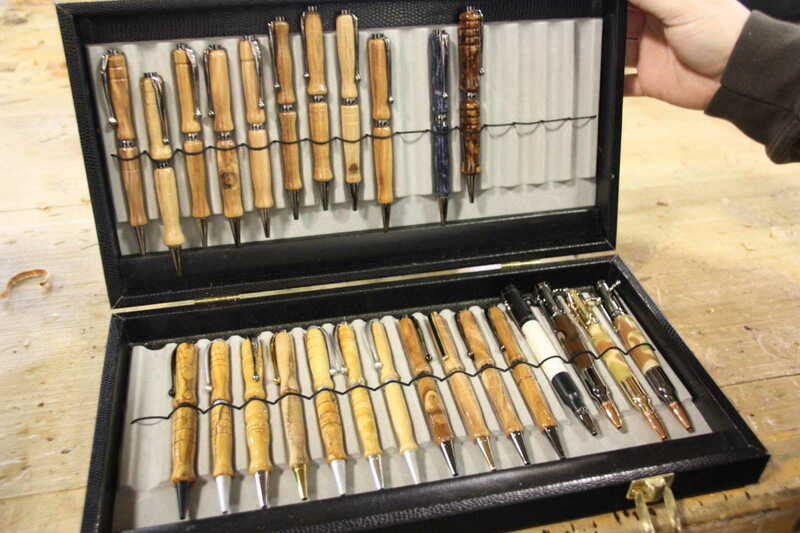 Candy Williams from Broseley brought with her to the recent woodworker's meeting part of her collection of handcrafted pens that she makes as a hobby.